NATICK, Mass., June 17, 2013 /PRNewswire/ -- Boston Scientific Corporation (NYSE: BSX) announces the first implantation of its Vercise™ DBS System as part of the INTREPID clinical trial. INTREPID is a prospective, multi-center, double-blinded, randomized, controlled study to evaluate the safety and effectiveness of motor function and overall quality of life in patients with the Vercise DBS System for the treatment of Parkinson's disease. The Vercise DBS System is a neurostimulation device that delivers electrical signals to specific areas within the brain through individual lead contacts. It is the only system that allows physicians to adjust the current flow in fine increments based on patient needs. The first patient was implanted at Cedars-Sinai in Los Angeles by a team led by Michele Tagliati, M.D., director, Movement Disorders Program, and Adam Mamelak, M.D., FACS, FAANS, director, Functional Neurosurgery. "The Vercise DBS System offers the promise to customize stimulation control in ways never before possible," said Dr. Tagliati. "The indications for deep brain stimulation are rapidly expanding, while innovations in the devices used for this therapy have been slower," said Philip A. Starr, M.D., PhD, co-principal director, Functional Neurosurgery Program, University of California, San Francisco and co-principal investigator of the trial. "The launch of this trial heralds advanced innovation in device development which is greatly needed." "The Vercise DBS System has the ability to deliver stimulation in a precise manner due to multiple independent current control which represents a significant opportunity for DBS therapy in the treatment of Parkinson's disease," said Jerry Vitek, M.D., professor and chair, Department of Neurology, University of Minnesota and co-principal investigator of the trial. "The technology offered with this system is designed to provide a flexible programming platform that is expected to improve our patients' quality of life." The Vercise DBS System has both CE Mark and TGA (Australia Therapeutic Goods Administration) approval and is available for sale in Europe, Israel and Australia. 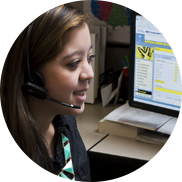 In the U.S., the Vercise DBS System is investigational and not available for use or sale. Parkinson's disease is a progressive neurodegenerative disorder that affects about one million Americans and seven to 10 million people worldwide, according to the World Health Organization and the Parkinson's Disease Foundation. 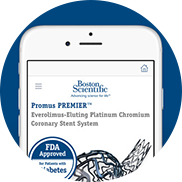 Boston Scientific is an innovation leader in implantable DBS technology. 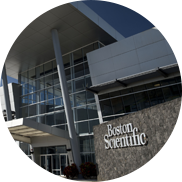 Through its investments in technology, clinical science and world-class service, Boston Scientific is committed to Making life smoother™ for physicians and patients. 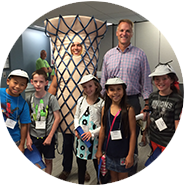 Boston Scientific transforms lives through innovative medical solutions that improve the health of patients around the world. As a global medical technology leader for more than 30 years, we advance science for life by providing a broad range of high performance solutions that address unmet patient needs and reduce the cost of healthcare. For more information, visit www.bostonscientific.com and connect on Twitter and Facebook. To view or download an image of the Vercise DBS System, please visit our newsroom image gallery. This press release contains forward-looking statements within the meaning of Section 27A of the Securities Act of 1933 and Section 21E of the Securities Exchange Act of 1934. Forward-looking statements may be identified by words like "anticipate," "expect," "project," "believe," "plan," "estimate," "intend" and similar words. These forward-looking statements are based on our beliefs, assumptions and estimates using information available to us at the time and are not intended to be guarantees of future events or performance. These forward-looking statements include, among other things, statements regarding our business plans, markets for our products, clinical trials, product performance and importance, and competitive offerings. If our underlying assumptions turn out to be incorrect, or if certain risks or uncertainties materialize, actual results could vary materially from the expectations and projections expressed or implied by our forward-looking statements. These factors, in some cases, have affected and in the future (together with other factors) could affect our ability to implement our business strategy and may cause actual results to differ materially from those contemplated by the statements expressed in this press release. As a result, readers are cautioned not to place undue reliance on any of our forward-looking statements.